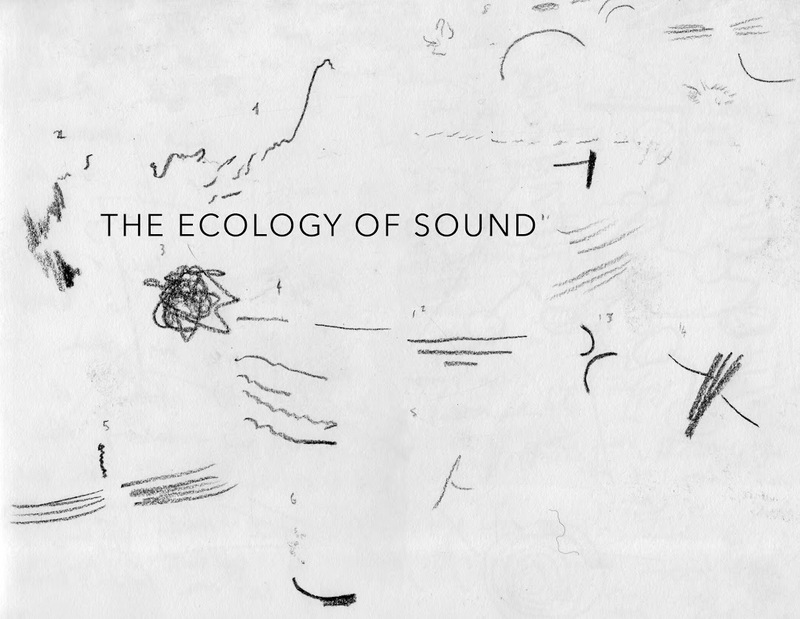 The Ecology of Sound marks the culmination of The Dominant Eye, a project by Sian Lyn Hutchings and The Noematic Collective for Bold Tendencies’ 2018 Visual Arts Programme. This symposium brings together Sian Lyn Hutchings, Salomé Voegelin, Tim Shaw, Angus Carlyle and Andy Weir to discuss the hierarchy of the senses and accessing other modes of perception to navigate and construct meaning from experience. The event will focus on everyday sound and how it could be further extended to enhance the multi-sensory register of quotidian life, followed by a series of 4-channel sonic performances by world renowned soundscape composer Barry Truax and The Noematic Collective. The Dominant Eye inaugurates a growing Sonic Library of field recordings on site as well as a series of weekly podcasts by cultural practitioners investigating the dominance of the visual in the 21st century. The recordings of orchestral music, poetry and journal entries now live on cassette tapes installed permanently in the carpark’s Auditorium, designed by Practice Architecture. Siân Lyn Hutchings (b. 1994) is an artist concerned with understanding environments through the process of ‘active listening’. Her work approaches experience through an equality of the senses, using sonic representation to present site-specific work through a form of aural architecture. Through her work, Siân aims to highlight the importance of sonic understanding, acoustic ecologies, and our capacity to navigate experience through a multitude of senses beyond the West’s ocular-centric lens. She is studying at Northumbria University, Newcastle. The Noematic Collective was founded by Siân Lyn Hutchings in 2016, as a collective who explore how we understand place, environments and social impacts through sound. The group currently consists of practicing artists, students and graduates from Arts University Bournemouth: Charles Pritchard, Georgie Ryan, Tobias Gumbrill, Oscar Lockey, Oliver Matich, Maddison Collymore and Siân Lyn Hutchings. They have exhibited in BALTIC Centre for Contemporary Art, The Drawing Studio, Arts University Bournemouth and have run sonic-based workshops at Goldsmiths University, Northumbria University and Arts University Bournemouth. Salomé Voegelin is an artist and writer engaged in listening as a socio-political practice of sound. Her work and writing deal with sound and the world sound makes: its aesthetic, social and political realities that are hidden by the dominance of the visual. She is the author of Listening to Noise and Silence (2010) and Sonic Possible Worlds (2014); her third book, The Political Possibility of Sound, will be published by Bloomsbury in November 2018. Voegelin co-convenes Points of Listening, a monthly event for social listening and sound making, with Mark Peter Wright, and uses her score/phonography blog Sound Words as a template for a participatory public listening, writing and sounding. Tim Shaw is an artist concerned with how our listening environments can be constructed or explored using a diverse range of techniques and technologies. Anchored in the creative use of field recordings, Shaw uses a variety of self-constructed technologies to manipulate and create complex sonic environments, including modular synthesisers, sculptural loudspeakers and resonant sound objects. His recent work has been presented worldwide including Cafe OTO, London (2018), New Ear Festival, New York (2018) and the History of Bosnia Museum, Sarajevo (2018). Tim works as a lecturer in Digital Media at Newcastle University and recently finished a UK tour with Phill Niblock. Angus Carlyle is a researcher at CRiSAP, University of the Arts London, where he is Professor of Sound and Landscape. Carlyle was the editor of Autumn Leaves (2007), co-editor of On Listening (2013), co-author of In The Field (2013) and author of the monograph A Downland Index (2016). His art works have included Some Memories of Bamboo (2009), A Crossing Bell (2016) and Air Pressure (2011 – 2013), a collaboration with anthropologist Rupert Cox, continued in their latest project, Zawawa (2015 – ongoing), an exploration of sound on the island of Okinawa. Andy Weir is an artist and writer based in London. He is interested in experimenting with and reflecting on noise as a structure for collaboration and improvisation. Recent exhibitions and publications include work in Perpetual Uncertainty at Malmo Konstmuseum, Sweden (2018),Contemporary Research Intensive (2018) and The Nuclear Sourcebook (2017). He is a PhD researcher at Goldsmiths, University of London finishing his thesis on radiological deep time, and Senior Lecturer in Fine Art at Arts University Bournemouth where he runs his own sonic workshops. Barry Truax is a Canadian composer who specializes in real-time implementations of granular synthesis, often of sampled sounds and soundscapes.. The real-time technique suites or emphasizes auditory streams, which, along with soundscapes, inform his aesthetic. Truax teaches both electroacoustic music and acoustic communication at Simon Fraser University in British Columbia, Canada. He was one of the original members of the World Soundscape Project.